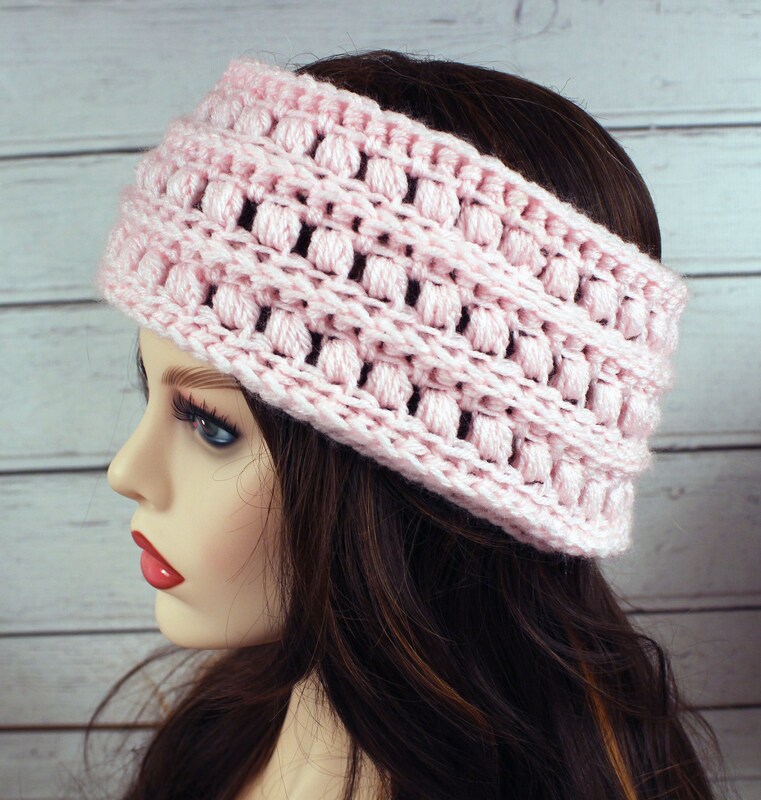 Lovely warm textured crocheted headband ear warmer and matching fingerless gloves. Headband covers ears to keep you warm with lots of stretch. 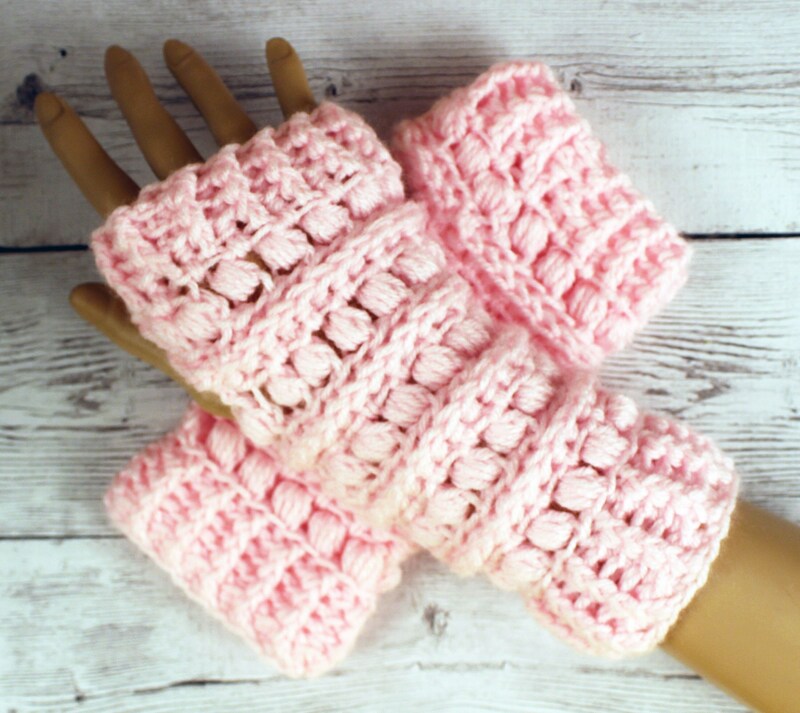 Both sized to fit an average women's hands and head. 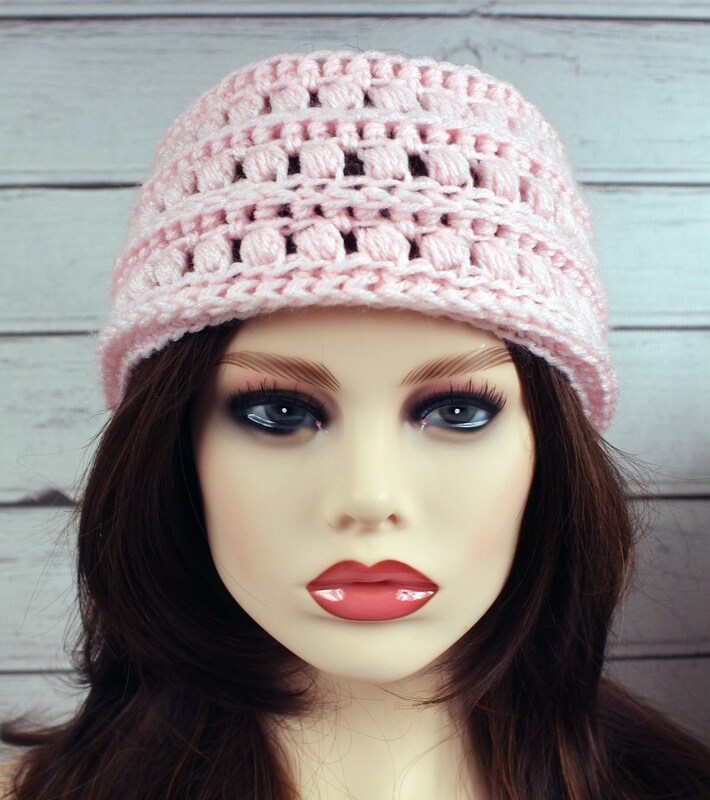 I used Acrylic yarn in baby pink. Machine wash and dry preferably on the gentle cycle in a laundry bag to protect.